Over the years, my sister and I always had good intentions of going out for photo shoots, but it always got put on the back burner, even though it was something we both wanted. After enough prodding, and rescheduling, we finally went out to snap some portraits. My sister is so beautiful, guys! I love how these turned out and am so thankful to have her as my "model for life". Back in 2015, I spent a summer in Jacksonville, FL with a Navigator summer training program where I met Joy and Luke. Joy and I quickly bonded as we spent many hours at the Starbucks on the UNF campus studying God's Word. Joy and Luke's story is one of my favorites! You see, this was not Joy and Luke's first time in Jacksonville. They had both gone to this summer training program back in 2013 where they became close friends. At the end of the second summer, Luke decided to ask Joy to date him. To everyone's surprise, she said, "not yet". I admire Luke's patient and Godly pursuit of Joy over the years of their friendship, dating relationship, and now marriage. As I'm sure you guessed how the story goes, they began dating, got engaged, and said "I do"! Congratulations, Joy and Luke! It's 6:30am. I'm squatting on a pile of rocks in a bush, waiting for Forrest and Thea to show up to Big Woods Lake. Forrest and I had planned that I would capture the proposal the night before, but a big rainstorm led him to Plan B. I had asked Forrest to walk over to the "blue bench" where he would pop the question and I would snap away. As I'm hunched over on the rocks, I get a text from Forrest asking, "Can you see us?" I crane my neck through the weeds to take a look around without revealing my location. At that moment my heart sank because I realized that when I told him to go to the blue bench, I forgot to inform him that there were TWO blue benches. As the photos show, they eventually made their way over to the other blue bench, he asked for her hand in marriage, and now they are less than one month away from their wedding date! I can't wait for these two to get married, and for Forrest and Thea to be our next-door neighbors! Congrats, you two! Jacob and Bria waited so patiently for a time in my schedule to be able to go out and take some engagement photos. I'm so thankful for the beautiful day that we had! Fall had just begun, but it was still warm enough for sundresses and shorts. I had a ton of fun with these two exploring outdoors and accidentally sliding down small hills. Jacob and Bria get married this December, the same weekend that Jonathan and I got married last year! Congrats, you two! I met Heidi and Alex in college at the University of Northern Iowa. My college roommate and I would often joke about getting into prank wars with Alex and his roommate, but the reality was that he totally crushed us and was frequently caught "stealing" things from our dorm room or changing the backgrounds of our laptops to cute quokkas (google it). When Heidi came into the picture, I was so thrilled that Alex had found the girl of his dreams! They make an awesome couple, always finding time to laugh about the little things. These two are such a fun-loving and goofy couple, which made photographing their wedding a total breeze! Jonathan and I even have the pleasure of now being in the same small group as Heidi and Alex! I'm excited to see how their marriage grows in the likeness of Christ and His church, glorifying God for years to come. Heid and Alex, thank you for letting me be a part of your beautiful wedding day! Proposals, weddings, and ministry, oh my! For the past few years, it's been difficult to determine what role photography should play in these rapidly changing seasons. While in college, I would turn down wedding requests frequently because I simply had NO IDEA where I would be or what I would be doing six, eight, or twelve months down the line. But life is different now. I've been fairly off the radar the past year, and many people have asked what I have been up to now that I have graduated. This is a brief snippet of what the past year has looked like. Spring 2016: Finished my time at UNI and spent a month in Indonesia. Winter 2017: Got married and worked in the Waterloo Community School District. Summer 2016: Photographed weddings, and got engaged upon coming back. Spring 2017: Accepted a job with The Navigators called EDGE Corps, doing full-time collegiate ministry and had our first job training out in CO.
Fall 2016: Planned a wedding, student taught in Waterloo, and graduated. 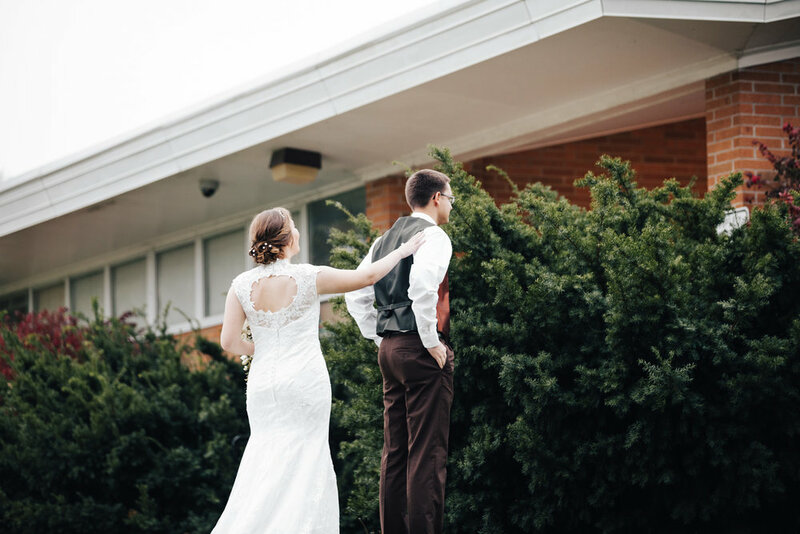 Summer 2017: Photographed a few weddings and started my first year in full-time ministry with The Navigators at the University of Northern Iowa. So what does this mean for photography? I photographed two weddings this summer, and a proposal! I have two weddings booked for this fall and a few senior sessions scheduled. Although college ministry is my primary focus right now, I am still pursuing photography. I may not post frequently (like this past year), but will do my best to make sure that beautiful weddings and other sessions are blogged! As a preview, here are some gorgeous shots from a proposal and a few weddings that will be hitting the blog soon! Keep an eye out for things to come. Since the summer wedding has season ended, my camera has sat in my closet. Student teaching, wedding planning, and relationships have taken the lead in my life as of late. Life is moving fast, and until this weekend, photography had slowly evolved into a frustration. "If only I could get this last session done. If only I could only get these pictures to my clients. If only I was done for the wedding season. If only, if only, if, if, if..."
This past weekend, I had a senior session. As the batteries charged and the lenses were cleaned, I remembered the joy that photography brings - the joy that reminds me that I am so lucky to use this talent as a job. Not to mention that it rarely even feels like a "real job". After the senior session, I grabbed one of my best friends, and we raced the setting sun to take a few more photos in the dwindling November light. Capturing beauty. Adoring God's creation. Spending time with people. Creating art. I am thankful for warm November days, friends to share them with, and a camera to capture it all. Last summer, Jonathan and I talked about the possibility of me taking his family photos for the next year. Little did I know that we would end up engaged and I would have to be IN the group photos! It was a whirlwind trying to fiddle around with a 10 year old shutter remote and brainstorm ways to make this session work as smoothly as possible. Thanks to my future mother-in-law, we had a wonderful assistant who was able to help with the tripod and make silly faces to entertain the little ones when I wasn't able to be behind the camera! What we really look like. Someone finally took the camera from of my hands and had us take a "real" photo. With you, you, you, you"
After surprise shooting Ayla and Isaac's proposal early this summer, I was overjoyed when they asked me to be their engagement photographer as well! These two are so precious. Exploring Cedar Rapids in the sweet summer light with Ayla and Isaac made for such a fun evening! Next June can't come soon enough! I'm so forward to capturing their wedding day. 'Cause all that you are is all that I'll ever need." This was my first time shooting a wedding outside of Iowa - Minnesota did not disappoint! The ladies got ready in Steph's home before everyone met over at the historical Wesley United Methodist Church in downtown Minneapolis. The day was a dream; filled with laughter and dancing and food. Steph and LJ had the most beautiful ceremony and reception, shared with many friends and family. It was amazing to watch these two praise the Lord God throughout their wedding day in worship, love, fellowship, and prayer. Hearing about how they both have used their lives throughout their relationship to impact others for the glory of God was such a beautiful thing to hear. I am so thrilled for Steph and LJ as they begin the rest of their lives as a married couple. Congratulations to you both! Summer has just about ended, and yet I'm just now starting to get the summer weddings up on the blog! Up first, Josh and Ellen Schriever! They may have picked the hottest day of the summer to get married, but the heat didn't melt the smiles and joy that the day brought. 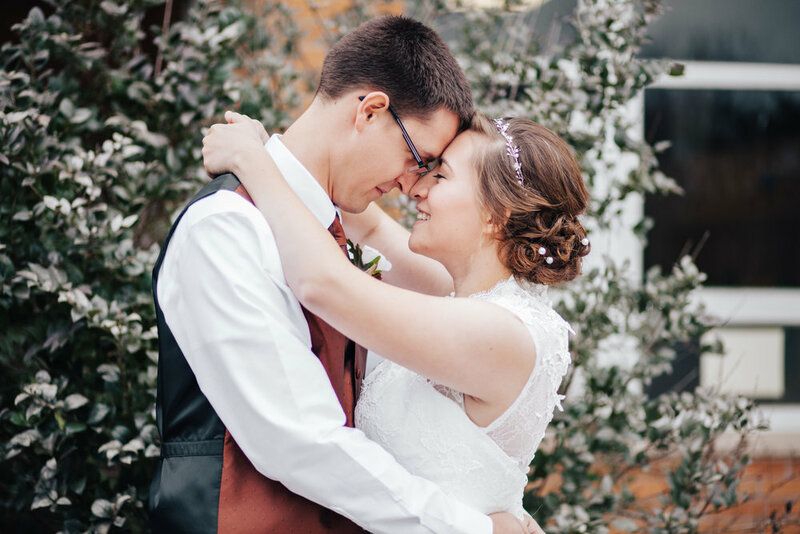 Family and friends gathered in the small town of Underwood, IA for the ceremony, dinner, as well as lots and lots of swing and ballroom dancing! Congratulations Josh and Ellen! I'm glad to have you both as friends and am thrilled to continue to get to know you both better as a married couple. "What are you doing Friday night?" A text from my friend Maureen can only ever mean good things. When she asked me to shoot her best friend's proposal, I squealed! I have been dying to shoot a proposal and hadn't yet had the opportunity. It was such a beautiful evening. Issac surprised his girl, Ayla, at her home for what she thought was going to be an early birthday dinner with family. To her surprise, there were flowers and photos everywhere, with beautiful music playing in the background while her best friends and family walked her down to the lakeside where Isaac was waiting. The rest of the evening was spent with close family and friends at a surprise party at Fireside Pub & Steakhouse. I took way too many photos and have no regrets about it. They are an adorable couple and I am so thrilled for these two as they begin planning their wedding! Congrats Isaac and Ayla! Several years ago, Steph walked into the West Gym at UNI as a freshman for Fellowship of Christian Athletes, looking forward to growing in her faith as a college athlete. What she didn’t know is that she would also meet her future husband right there on the bleachers! It’s been a journey over the years as Steph continued at UNI in her education and to play basketball, while LJ traveled the country for football. The two will finally be together as they get married later this summer! Their relationship is so sweet and I am beyond excited to be capturing their wedding day in the weeks to come! 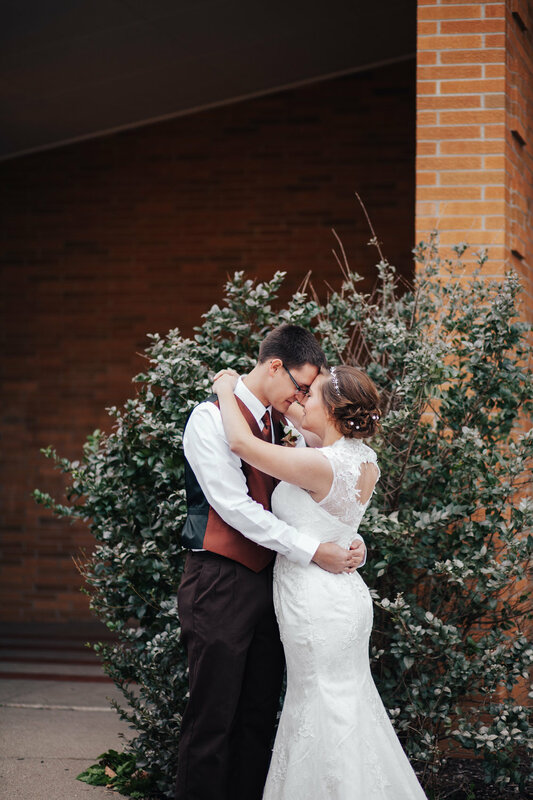 Josh and Ellen met this past year on the dancefloor at a UNI Ballroom Swing event and have been dancing together and falling in love ever since. This couple is so sweet and I am looking forward to celebrating their marriage this summer! All I thought about was lovin' on you." Rachel and Sean got married on the most beautiful fall day in October. It may have been mid-fall, but it felt and looked like a warm summer day. It was such a joy to experience the laughter and joy that Rachel and Sean shared together on the day of their becoming husband and wife. And time moves faster than you think"
There is always that one day in the autumn season. You know, the one where the air is crisp but warm enough to leave the jacket at home. The light is still golden through the early-evening and the trees show off the perfect mixtures of green, orange, yellow, and red. David happened to score that particular day for his senior photo session. It was such a joy to photograph him amidst the beautiful colors. Autumn, you were too kind. Chloe and I met during my sophomore year in Rider Hall at the University of Northern Iowa. As I have noticed Chloe all over campus, I have observed that she has truly taken advantage of her educational career at the University of Northern Iowa, participating in PSE Business Organization, Student Admissions Ambassadors, various UNI Outdoors to the Appalachian and Grand Canyon, and working as a Pair in Rider Hall for one year and an RA in Bender Hall for two years. She has also studied abroad FIVE different times during her years at UNI, two of them with Camp Adventure! This UNI-themed photoshoot was planned to be able to encompass the memories made during her time at UNI, as she soon leaves for student teaching next fall. Thanks Chloe for an amazing mini-session, and for reminding me of all the great opportunities that UNI has to offer! I first met Emily when I was a junior in high school. This short, spunky 7th grader (at the time) waltzed into the Genesis Youth room at Trinity Bible Church, smiled, said hello to everyone in her sight - making friends with everyone she came into contact with. Okay, okay, okay. I don't really remember the exact moment we met (although it was at Genesis Youth group). However, knowing Emily I'm sure this description wasn't too far off! Emily ran cross country throughout junior high and high school and loves spending her free time in a good book. It was fun to take the things she is passionate about and capture them in her senior session. Emily, I am excited to see how God uses you in your time at college! Kyla thought it appropriate to go out to the place where she has had the most memorable childhood experiences. She spent many weekends out at Fontana Nature Center out near Hazleton, IA with her family, playing in the water, fishing, and looking at the animals living at the nature center! Kyla, your playful imagination and laughter is so natural. It was a blast visiting someplace new I had never been! Thanks for the adventure and have an awesome freshman year at North Iowa Area.